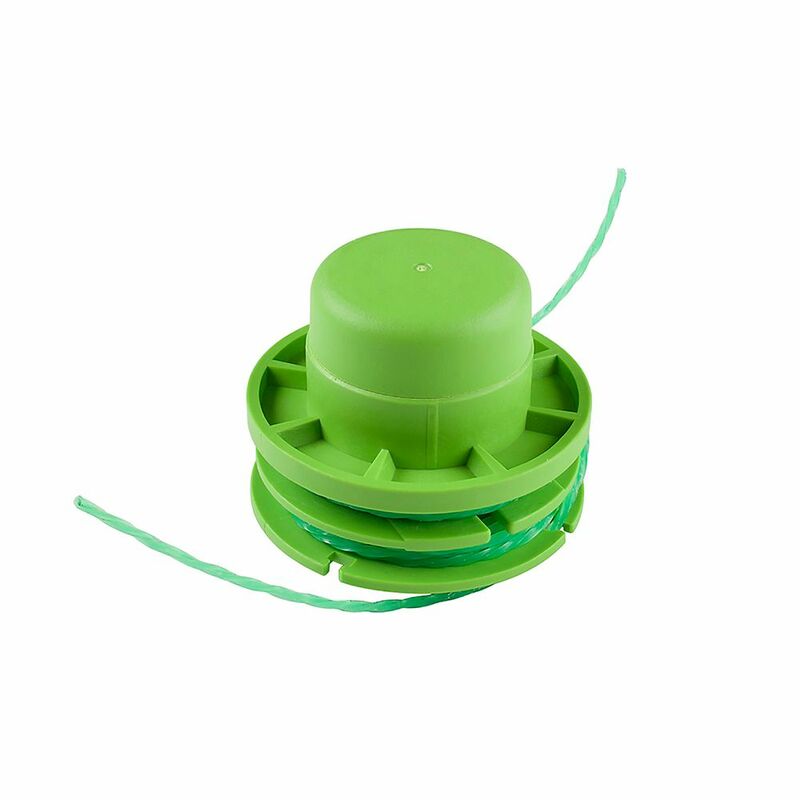 The EGO String Trimmer Spool is a replacement cutting-line spool for ST1201 and ST1200. It is factory-wound with twisted nylon line for reliability and convenience. The spool has an integrated bump feed for hassle free trimming. The EGO 10 inch replacement saw chain is the only replacement chain recommended for use with the EGO Power Head System Pole Saw Attachment PSA1000. The replacement chain is manufactured by Oregon (90PX056E) and is a component of Oregon's Micro-Lite Narrow-Kerf cutting system. The low kickback design enhances user safety. Add the EGO Edger Attachment to your EGO POWER+ Power Head system for convenient and efficient trimming around the yard. Featuring a depth-control wheel for greater precision and a premium edger blade, this trimmer is great for edging driveways, sidewalks, flower beds and borders. Maintain a clean and precise yard with the EGO Power Head Edger Attachment. EGO attachments are designed specifically for your EGO POWER+ Power Head System and offer the highest quality, performance and value. The EGO Power Head Edger delivers the power to cut and features a depth control wheel for greater precision. This premium edger blade is great for edging driveways, sidewalks, flower beds and borders. Maintain a clean and precise yard with the EGO Power Head Edger. EGO parts are designed specifically for your EGO POWER+ Power Head System and offer the highest quality, performance and value. The EGO Power Head Edger delivers the power to cut and features a depth control wheel for greater precision. This premium edger blade is great for edging driveways, sidewalks, flower beds and borders. Maintain a clean and precise yard with the EGO Power Head Edger. EGO parts are designed specifically for your EGO POWER+ Power Head System and offer the highest quality, performance and value. 12-inch Pre-Wound Spool for String Trimmer The EGO String Trimmer Spool is a replacement cutting-line spool for ST1201 and ST1200. It is factory-wound with twisted nylon line for reliability and convenience. The spool has an integrated bump feed for hassle free trimming. 12-inch Pre-Wound Spool for String Trimmer is rated 3.9 out of 5 by 44. Rated 5 out of 5 by an from Spool was very easy to install. Works great. Spool was very easy to install. Works great. Rated 5 out of 5 by Chowdad from Would advise others to purchase the current model as these Ego string trimmers are great, conveni... Would advise others to purchase the current model as these Ego string trimmers are great, convenient for quick touch ups or entire yard. Rated 5 out of 5 by Edward from Very easy to replace and extend cords.... Very easy to replace and extend cords. Rated 2 out of 5 by Buddy from I have to stop and pull it out by hand. I have to stop and pull it out by hand. Rated 5 out of 5 by Bear from Just what I expected. Very good. ... Just what I expected. Very good.